1. 16 cxxnel input mic dan line in. 2. Echo reverb dan speed effect. 3. Setiap input mic/line in memiliki pengaturan: Gain, Control Tone High, Mid dan Low, Monitor, Effect (echo), PAN, Slider level/volume,serta led indikator PEAK. 4. Master effect,effect send dan reverb volume L/R. 5. Output L/R dan Monitor dengan soket TOA dan soket male canon. 6. Output headphone,Send,Return dengan socket TOA dan soket RCA L/R. 1. 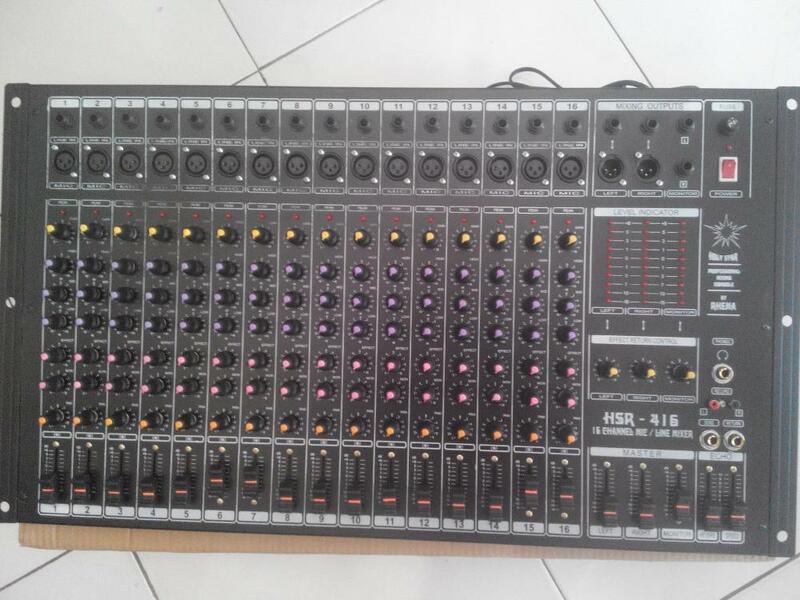 Mixer BLACKBELT (RHEMA) 16 channel. 1. Segel tidak rusak atau body tidak peok . 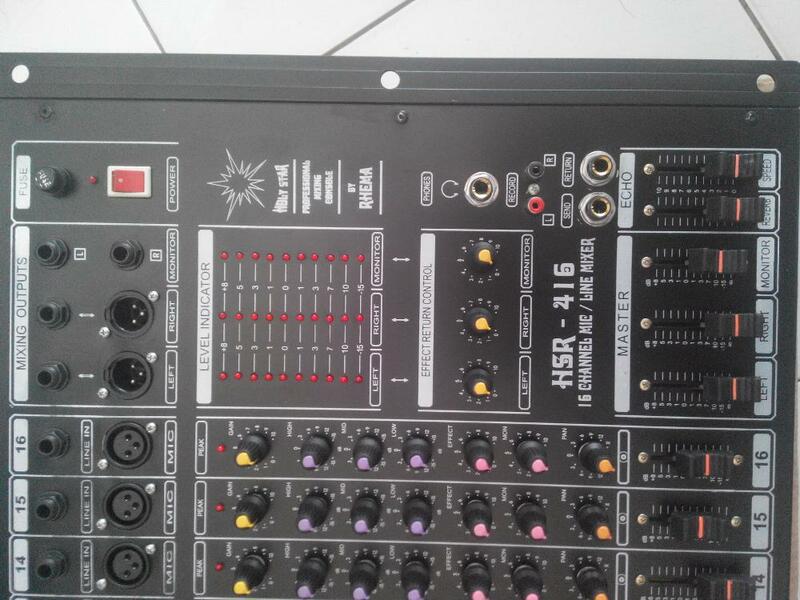 0 Response to "Mixser audio 16chanel murah"